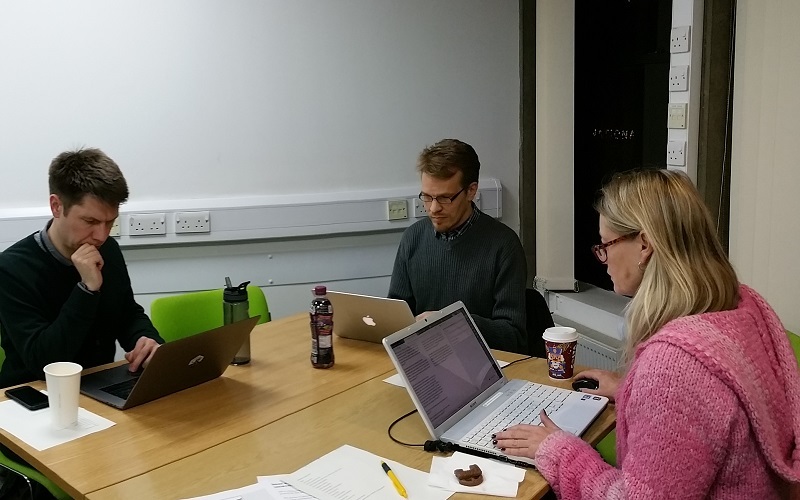 Riitta Valijarvi (SSEES, UCL), Mira Vogel (UCL Digital Education) and Richard Nevell (Wikimedia UK) hosted a Wikipedia Translatathon on Wednesday 29 November 2017 at UCL. Ten people, both SSEES students of Finnish and Finns based in London, attended the event. This included one professional translator and one active Finnish Wikipedia editor. Sixteen articles about Finland and Finnish culture were translated from Finnish into English using the Content Translation Tool. The topics varied from exotic Finnish foods (mustikkapöperö and läskisoosi) and Finnish celebrities (the actor Mari Rantasila and the photographer Meeri Koutaniemi) to Finnish Christmas traditions and the President’s Independence Day Ball. Thanks to the event, the number of Wikipedia translators from Finnish into English went up by 7.9%, whereas the number of translated articles went up by 8.4%. A very successful and fun event for everyone involved!